"Dear Lord take the time. I believed your story, now you believe mine." I've been wanting to do this for a long time. This is not the "definitive" Thin Lizzy set. Nor is it a compilation of hits and rarities. 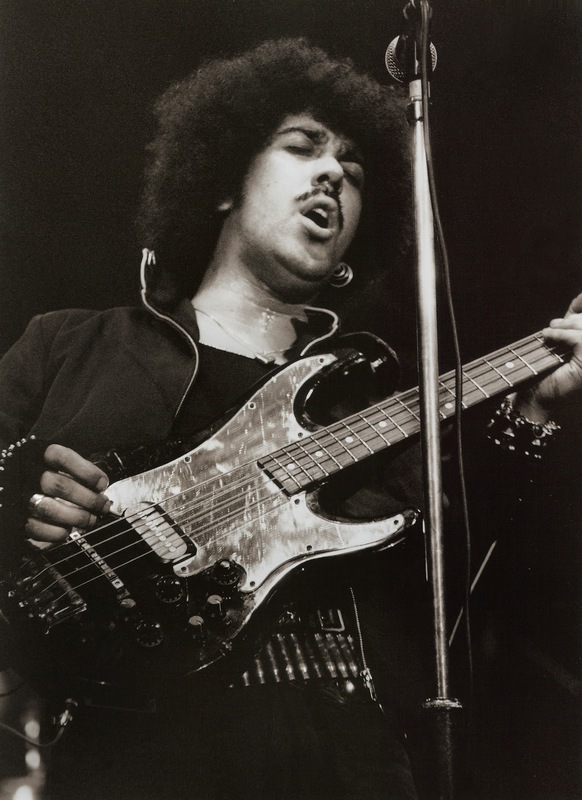 My goal here is to highlight Phil Lynott, his brilliant wordplay, his often heartbreaking and confessional storytelling, his unique vocal phrasing, his ability to rock and have a good time, as well as the stellar musicians that formed one of my favorite bands of all time. I chose these songs for various reasons. There are some obvious omissions, like say... "the hits." And I'm sure, even some die-hards will question my choices. But this is just a smattering of what I love. Thin Lizzy too often get pigeonholed as a glam band, thanks to "The Boys Are Back In Town," or some metal has-beens. (My observation) Phil Lynott deserves more. In a recent BBC documentary, "Bad Reputation," Bob Geldof refers to Thin Lizzy as the "academy of great guitarists." Starting with Eric Bell and continuing with Scott Gorham, Brian Robertson, Midge Ure, Snowy White, John Sykes and the recently departed Gary Moore, these players have consistently merged the fist-pumping fire and chops that make teenage boys want to play rock and roll, without ever abandoning a melody for the sake of showing off. With the exception of Gary Moore, these guys never get mentioned when talking about the great guitarists in rock and roll. "Little Darling" is an early single that features Gary Moore, and is what I consider one of the most exciting rockers ever put to wax. "Please Don't Leave Me" was a solo single released by John Sykes, a member of Lizzy in its final days, and of course, guitarist for Whitesnake. This is a better than average power ballad made special by Phil's vocals and Sykes' guitar solo. "Don't Believe A Word" is a live BBC recording that combines both the slow version which found it's way onto Gary Moore's solo LP "Back On The Streets" and the fast version found on Lizzy's 1976 release, "Johnny The Fox." "Hollywood" and "No One Told Him" is the 1-2 punch that begins Side Two of 1982's "Renegade" LP. These two songs have it all. Melody, harmony, and Lizzy's legendary guitar playing. "The Sun Goes Down" is a live version from 1983, and what I think just may be "definitive" Thin Lizzy. Lynott's pleading, and the guitar work from both John Sykes and Scott Gorham say it all. The version of "Still In Love With You" included here is an unedited and undoctored version of what ended up on "Live & Dangerous," a record with a storied history. It was Lizzy's biggest selling record, yet has the distinction of being "cleaned up" in the studio, more than the band members cared to admit. This song, which features my two favorite guitar solos of all time---THAT'S RIGHT---courtesy of Scott Gorham and Brian Robertson, includes the Scott Gorham "clam" that he insisted on fixing, which came about after Phil insisted on fixing some bass parts. Before all was said and done, everyone wanted to fix something. Leave it to the drummer, Brian Downey, to proclaim in the documentary, "Well, everything I played was live." Downey was that good, so I believe him. "Hit me with that drum, Brian. Hit me as haaaard as you can!" "Old Town," a single from Lynott's second solo LP, is a song that still tugs relentlessly at my heartstrings and a song that I think ties this all up nicely. "This boy is cracking up. This boy has broken down." Thin Lizzy were the ultimate male rites of passage band for my generation. 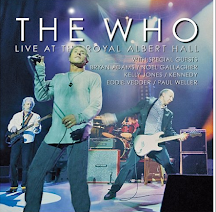 They were pretty much the definative rock band - brilliant but self destructive frontman, a selection of Guitar heroes ranging from dependable to mercurial and one of the best Rock Drummers of all time. Lynott was believable...when he sang about his romantic conquests or 'I am just a Cowboy...' you believed him. No disrespect to J. Bon Jovi but when he sang 'On a steel horse, I ride' the smell of the styling mousse proved he was a liar. I'm not gonna comment on your choice of tunes, but debate will be lively and possibly heated. My fave is 'Little darling' for what it's worth. I've had Thin Lizzy on my mind a lot since Gary died. Did you see that they're touring right now, and coming to the US next month, with Vivian Campbell on guitar? There's a ton of cool youtube clips of their recent shows in the UK and Europe. Been listening to the Night Life album quite a bit the past few weeks. Great stuff. "Dear Heart"? Most people don't know Thin Lizzy for songs like this, but they surely had more than a few with that same quiet feel. The whole album -- hadn't heard it in years, but I can see how it threw fans for a loop at the time. I'd recommend that as a solid counterpoint for anyone who only knows "Boys Are Back in Town." I just can't get behind the tour without Phil. Still can't figure out why 'Nightlife' has been neglected. Everything prior and since has gotten "the upgrade," in one country or another. Yet, that record remains forgotten. I'd also point out that Fighting, the album between Nightlife and Jailbreak, is criminally overlooked. Wild One may be the quintessential Lizzy non-hit. Also, how crazy is it that this band could wait til their 6th album to have a major hit? They could never happen now. I had a press agent talking to me trying to convince me that it was really exciting and the "top drawer of 2011" that Thin Lizzy were touring. It's fine partial line ups of bands reforming as long as the key players were there, Lizzy was Lynott, it's like The Jam without Weller, why would you wanna go? My first proper girlfriend dumped me and I couldn't listed to Still In Love With You for months without getting all tearful. Lynott was an incredible front man. I too saw the Black Rose Tour, I'd been taken to see them supporting Queen but got there late to only see the last three songs. It was sad to see the decline when at times, Phil became a bit of a parody. We can talk about great live bands and argue until the cow comes home but on their night Thin Lizzy very nearly as good as Mott The Hoople for gripping an audience and making them feel unstoppable. Nice words, ASH! Well done. Now go help me out the Huffington Post. I am getting trashed because of my Radiohead review. Since my Thin Lizzy collection is limited, this mix is much appreciated. I am curious as to how Phil is ranked in the pantheon of bass players. What I tend to see written about him musically is his great songwriting and band leadership, but little about his skills as a bassist. Any thoughts from you musicians out there? Phill Is a God dam legend when i comes to bass lines :P lissen to the ending on the studio version of Dancing in the moonlight and then take Get out of here and play the bass line (its a blues riff that gets into a rock riff remake standar blues really riff) legend Then you take The Boys are back in town Lissen to the Middel part when he does the Dundunludulup thing Havent heard a cover band take that bass part Yet i wont, Then you take the Don't believe a word and try the bass Line there then you take Parisenne Walkways Hes my idol yet im 20 and I think even if he plays slow and long down on the bass with a pick and sing the riffs Is really hard sometmes to figure out rock in peace Phil ty for music you let me hear everyday!